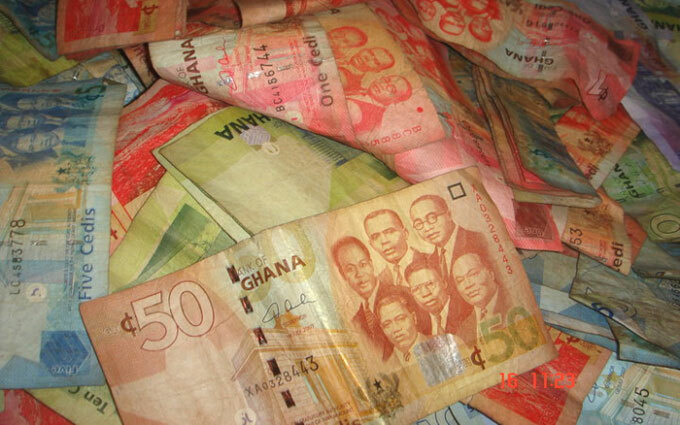 Media reports and other opinion pieces published between the period of 2007 and 2010 suggested that foreign companies controlled 37 percent of Ghana’s crop land. The farming of jatropha, an energy plant, by multinationals was said to have triggered the land grabbing to the extent that the phenomenon pushed smallholder farmers including women off their land. For instance, an article by Bakari Nyari, a rights activist said Biofuel Africa (Solar Harvest SA), a Norwegian company, in 2008 allegedly took advantage of Ghana’s traditional system of communal land ownership and the climate and economic hardship at the time to claim large tracts of land in a village called Kusawgu in the northern region with the intention of creating “the largest jatropha plantation in the world”. Bypassing local authorities and using methods that date back to the days of colonialism, this investor according to Bakari’s article claimed legal ownership of 38,000 hectares of land from an illiterate chief who was deceived to sign documents with mere thumb prints. By the time the community realized that they were cheated, 2,600 hectares of land had already been deforested. Valuable food sources such as shea and dawadawa trees were cut down to make way for a jatropha plantation. During that period, a total of 769,000 hectares of lands were reportedly acquired across the country by foreign companies such as Agroils (Italy), Galten Global Alternative Energy (Israel), Gold Star Farms (Ghana), Jatropha Africa (UK/Ghana), Biofuel Africa (Norway), ScanFuel (Norway) and Kimminic Corporation (Canada). According to Ghana’s Ministry of Food and Agriculture (MoFA), over 20 companies from around the world, including from Brazil, China, Germany, Italy, The Netherlands and Norway acquired large tracts of land in the country to farm jatropha. The MoFA also estimated that just 16 percent of Ghana’s total arable land was cultivated, despite agriculture employing 60 percent of the country’s workforce. Thus, there was every reason to believe that these multinationals were attracted to Ghana by the land availability, soil types and a lack of regulation on acquisitions, according to the Food Security Policy Advocacy Network (FoodSPAN), a CSO based in Accra. 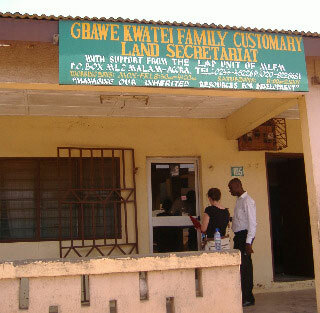 Following the persistent campaign embarked upon by CSOs coupled with the somewhat biased media reportage on the issue of land grabbing in 2007 and beyond in the northern region, some of the multinationals eventually had to abandon their mission in some areas they acquired lands and left without any intention ever to return. For instance, Biofuel Africa in 2007 failed in their attempt to acquire some sixty acres of land in Kusawgu which was released to the company by a former chief of the area on condition that his people would be employed in the plantation. According to Imoro, son of the current chief of Kusawgu who spoke to this writer via phone, the company eventually abandoned their ambition to farm jatropha and relocated about 80 kilometres away to a different village called Kpachaa in the same region to acquire land for their project. 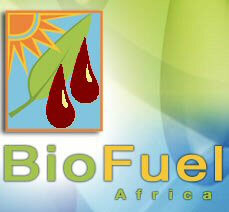 Explaining why Biofuel Africa abandoned their project, Imoro said officials of the company came with some documents claiming the former chief of Kusawgu sold the sixty acres of land to them. However, the current chief (Imoro’s father) told them that per customary land regulations, he was not allowed to even release or sell large tracts of land to a local or foreign investor unless the investor wants it leased to him/her. Thus, the chief did not believe that the company bought the land and considered their documents as unreliable. Currently, Mr. Imoro said the unused land the company left behind had been reclaimed by the chief of Kusawgu and his people and used as a mango plantation. 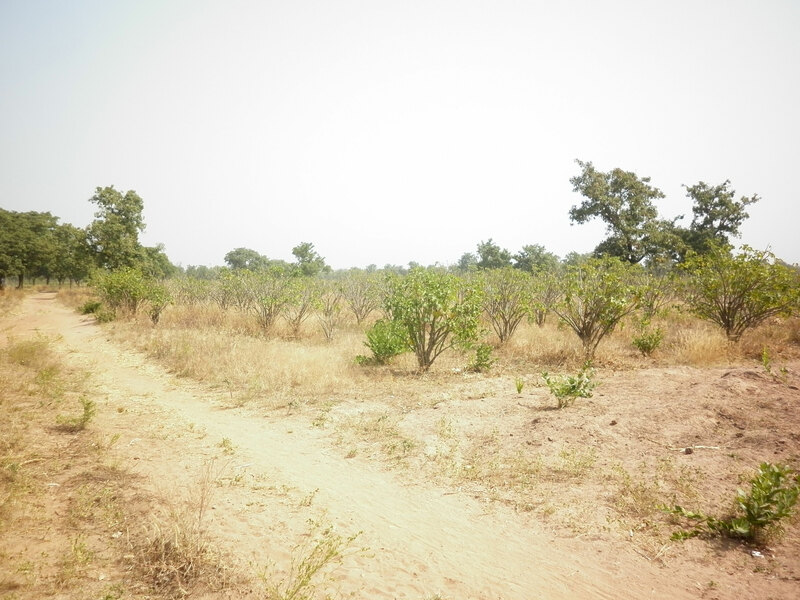 After moving from Kusawgu to Kpachaa, Biofuel Africa again created 400 hectares of jatropha plantation out of 1,100 hectares of land acquired from a local chief of the area. In an interview with Chairman of Solar Harvest SA and Chief Executive Officer of Solar Harvest Limited Steiner Kolnes at his new project site at Bontanga, he recounted to this writer how his ambition to go into biofuel production fizzled out some few years ago. According to him, the company acquired 1,100 hectares of land in 2008 at Kpachaa after their failed attempt at Kusawgu and was only able to utilize 400 hectares of the land on which they planted jatropha. Before utilizing the land, he said, only about 15 percent of the cleared land was in use for farming due to declining soil fertility which had compelled voluntary relocation of most farmers to potential farming areas leaving behind 25 others. Twenty (20) out of the 25 farmers who he said ceded their land to the project were relocated to new areas ploughed by the company whilst the rest of the 5 continued farming in the plantation but without any compensation. Steiner also emphasised that, despite the land use change caused by the company’s jatropha plantation, food production increased during the period of planting and that was because management instituted a “food first policy “. This policy according to him, aimed at increasing food production hence, 16 hectares and 10 hectares of maize farms were established at different locations for the project villages and plantation workers. However, he recalled with pain how the company took a loan of US$ 2.5million from Ghana’s Agricultural Development Bank in 2010 to boost its food first policy project but unfortunately the company suffered a huge setback when a large part of the farm was destroyed by floods. Biofuel Africa eventually was saddled with an additional debt of GH¢300,000.00 and by September 2010, the project came to a halt rendering many workers unemployed, he disclosed. Steiner said after a year, the company abandoned the Kpachaa project too due to bankruptcy unlike the one at Kusawgu which he said was abandoned due to a “misunderstanding” between the company and CSOs as well as the Kusawgu people. He told this writer he was now into rice, maize and soya beans farming in the village of Bontanga near the White Volta River, about 60 kilometres from Tamale through a 200 hectare land acquired from a local chief. Per the agreement, he said he was expected to help local farmers in the area also expand their farms as well as create woodlots which would serve as source of firewood for the people to rely on so as to reduce the overdependence on the already depleted environment. Elsewhere in the West Mamprusi District of the northern region, the EU in 2009 launched a 2 million Euro Ghana Jatropha (Ghaja) project that is geared towards increasing the energy demand of the country through biodiesel production. The project is jointly being undertaken by the Council for Scientific and Industrial Research (CSIR), Ministry of Food and Agriculture, Technology Consultancy Centre at the Kwame Nkrumah University of Science and Technology, Kumasi (Ghana), Desertification Research Group (NRD-UNISS) University of Sassari, Sardinia (Italy) and New Energy, NGO. According to the project website at http://www.ghajaproject.net/What_is_Ghaja.html, 14 rural communities are involved in the district. These communities include Yama, Wungu, Kparigu, Bimbini, Loagri, Nasia and Janga. The rest are Bulbia, Zua, Nabulgu, Moatani, Boamasa, Guakudow and Zagsilari. The overall objective of the five year project which ends in 2014 is to afford rural communities of access to improved modern and renewable energy services and opportunities for communities based groups, reduce desertification effects and improve their livelihood by implementing a participatory approach at the rural community level. So far, the Ghaja project has engaged over 1,000 farmers in the 14 communities although more people are still expressing interest to join according to an official of the project who did not want to be named. Originally, infertile lands were supposed to be used for the jatropha plantation. 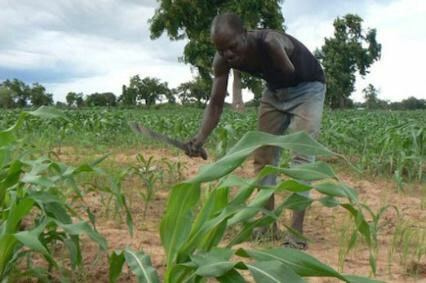 However, checks by this writer established that some of the farmers engaged in the project decided to use fertile lands. This was confirmed by an unnamed official of the project who attributed the situation to desperation among farmers saying “the project has not acquired land directly from any individual or group of persons per se. If a farmer is interested, all she/he has to do is to show them a one acre area of land which is prepared for him/her; jatropha seeds are provided him/her free of charge to plant. 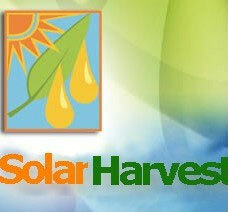 The farmers are put into groups of 30 and each farmer farms one acre”, the official said. The savannah accelerated development authority (SADA), a government initiative, aimed at greening the entire northern Ghana has not yet partnered with any multinational in any kind of land grabbing for whatever purpose. It has not also partnered with any organisation engaged in jatropha plantation and neither has it got any plan to go into jatropha farming in the near future, Sam Danse, Head of Corporate Communications of SADA told this writer in a telephone interview. SADA is helping communities across the entire north and parts of Brong Ahafo and Volta Regions to establish forest plantations and so far, about 5million trees planted in 2012 are feared dead due to lack of attention for them by persons employed to take care of them. Thus, the SADA Secretariat has currently engaged the Faculty of Renewable Natural Resources of the University for Development Studies to audit the entire tree planting project which was awarded on contract to Asongtaba Cottage Industries, a private company. The audit will enable SADA determine the number of trees which are still alive and the quantity that are dead. Ghana operates a dual system of land administration acquisition and disposal of various land rights is managed by two main systems. There is the state system operated by written rules and statutes; and there is the customary system operated by unwritten rules of custom and tradition. Both systems are recognized and guaranteed by the 1992 Constitution. According to a policy brief published by a group of CSOs in September 2012 entitled: “Land Grabbing, Biofuel Investment and Traditional Authorities In Ghana”, about 80 percent of the total land area in Ghana falls under the customary system and Traditional Leaders play a significant role in providing leadership and the institutional arrangement for the administration of such lands. This places the Traditional Authority in a significantly influential position in matters of land and land rights in Ghana. Traditional Leaders are however enjoined by the Constitution of Ghana to act as custodians of the collective interest of the communities. Thus, in the execution of their responsibility as custodians of the land, Traditional Leaders are to ensure that the interest of the larger group is protected. “In August 2009, it was estimated that collectively, there had been a total of 1,075,000 hectares of land acquired for jatropha plantation in Ghana, 730,000 hectares of which is located in the forest savannah transition zone”. The policy brief also expressed concern over the acquisition of land through private negotiation but at the same time having government to facilitate. It asked what this facilitation specifically entails because in the estimation of the CSOs, there is the potential of government officials influencing the land acquisition process in favour of investors at the expense of local land owners. According to the policy brief, there are no clear procedures for accessing compensation for lands loss to multinationals. It said in cases when some form of compensation is arranged, values are far lower than what they have leaving the affected farmers or land owners in a difficult situation. One prominent feature discussed as part of the agreements in large scale land acquisition for investment is the requirement for the investor to provide employment and social infrastructure for the community from which the land has been acquired. According to the policy brief, communities have experienced that promises have usually gone unfulfilled. Most often, they are not included in the related contract documents. In some cases, these obligations have been undertaken rather largely as philanthropic or corporate social responsibility gestures and not as obligation even though at the inception of the investment negotiations these provisions were used as part of the conditions for giving out the land. The document asked government to promote a transparent and informed public debate on large scale land acquisition to enable a more comprehensive discussion on the subject to inform government policy direction. It also said there is the need for a revised National Land Policy that provides policy direction to the current realities in land administration in Ghana, including the current trends in large scale land acquisition and address the issue of the mixed roles of State and Customary Institutions in addressing the problems of large scale land acquisition. The current Draft Guidelines on Large Scale Land Acquisition, having been drafted by the Lands Commission, it said, should be taken through more rigorous stakeholder consultations to receive inputs from all relevant stakeholders. It stated that, the draft guidelines should be reviewed, finalized and publicized to make all actors in the land sector responsible for its application. It further recommended that, government should re-evaluate the strategy to facilitate land acquisition for investment as a way of minimizing barriers to land access by investors as this influence negotiation for the land to the disadvantage of local people. Festus Boamah, an advocate for jatropha once said: “Ghana’s biofuel debate is part of the broader mainstream global discourses addressing the causes, mitigation measures and the consequences of climate change.